Partly allowing the appeal filed by the State of Jammu & Kashmir vs Wasim Ahmed Malik @ Hamid and another (Criminal Appeal No. 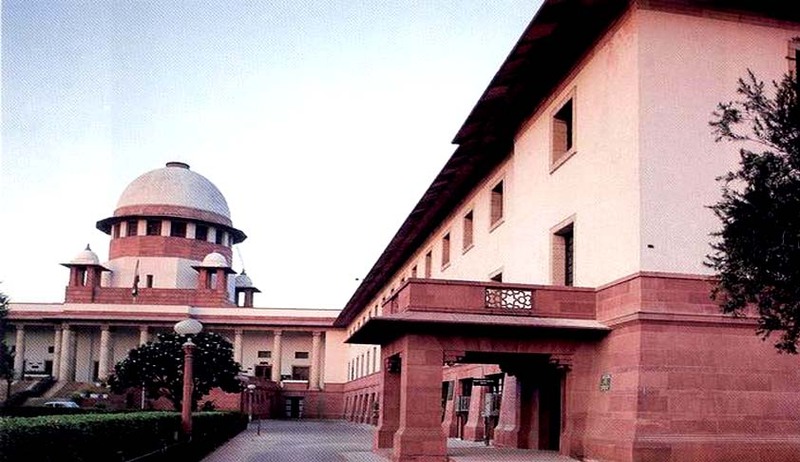 of 1743/2009) , the Supreme Court on Wednesday set aside the acquittal of a Pakistan national, a Hizbul Mujahideen operative, Ghulam Nabi Guide who was involved in the serial blasts at Maulana Azad Memorial Stadium in Jammu during the Republic Day function in 1995 that had claimed eight lives. The judgment came in the appeal filed by the Jammu and Kashmir Government the judgment and order dated 02.03.2009 passed by the third Additional Sessions Judge i.e. the Designated Court under the Act in File No. 26/Challan, acquitting both the accused of the offences under sections 3 and 4 of the TADA, section 120-B read with sections 302, 307 and 34 of Ranbir Penal Code and sections 4 and 5 of the Explosives Substances Act, 1908 arising out of FIR No. 12 of 1995. After investigation was taken over by CBI, one Mohd. Irfan was arrested on 07.04.1995. On 09.04.1995 he made disclosure statements leading to certain recoveries. On 24.04.1995 said Mohd. Irfan made a confessional statement which was recorded by PW2 Sharad Kumar, S.P. CBI, under section 15 of the Act to the effect that in furtherance of a criminal conspiracy hatched under the aegis of ISI and Jamaat-e-Islami, they decided to carry two pre-set time bombs across the border to Jammu for planting the same, one near the dais and the other near the pavilion of MAM Stadium Jammu and deputed Mohd. Irfan and Ghulam Nabi for this task. After completion of investigation, charge sheet was filed on 28.09.1995 in the Court of the Special Judge, Designated TADA Court, Jammu (J&K) u/s 120-B RPC r/w section 302, 34, 307 RPC, 4 and 5 of the Explosives Substances Act and section 3(2), 4 and 6 of the Act. The charge sheet was filed against Mohammad Irfan @ Anwar, a Pakistani National and other absconding accused. While the matter was pending before the Trial Court, Ghulam Nabi Guide was arrested by J&K police on 25.10.1995. Upon CBI making an appropriate application, custody of Ghulam Nabi Guide was granted to CBI on 04.12.1995. While in custody, Ghulam Nabi Guide made a confessional statement which was recorded by PW1 S.K. Bhatnagar Superintendent of Police, CBI on 18.12.1995 u/s. 15 of the Act wherein he confessed about his involvement as also that of Mohd. Irfan, Wasim Ahmed Malik @ Hamid, Major Tariq, Major Ibrahim, Major Amir, Captain Farhan, Subedar Anwar (all of ISI, Pakistan), Ahmed Hassan, Commander of HM, Sialkot, Amir- ul-Haq, Naib Commander, HM Sialkot and Zia Kashmiri R/o Kupwara, J&K in the criminal conspiracy culminating in the explosions at the MAM Stadium, Jammu 26.01.1955. Supplementary chargesheet was therefore filed against him. During the pendency of the trial, in a jailbreak said Mohd. Irfan escaped from high security jail. While the trial was pending and had reached the concluding stage, another accused named Wasim Ahmed Malik, who was marked as absconding accused, was arrested on 15.01.2009. Since according to the prosecution there was sufficient evidence in the form of confessional statements of Mohd. Irfan and Ghulam Nabi Guide, said Wasim Ahmed Malik was supplied with copies of all the relevant material and produced before the Trial Court. Thus only two accused i.e. Ghulam Nabi Guide and Wasim Ahmed Malik, present accused were tried while the others remained absconding. The trial court on an appreciation of the evidence before it, rejected the confessional statement of Ghulam Nabi Guide on the ground that the confessional statement was recorded in Hindi i.e. not in the language of the accused. It observed that the safeguards provided in Rule 15 of the Rules made under the Act were not adhered to and therefore, the confessional statement of accused Ghulam Nabi Guide was required to be discarded. The trial court further observed that as apart from such confessional statement there was nothing else against said Ghulam Nabi Guide, the accused was entitled to be acquitted. The other accused, namely, Wasim Ahmed had not given any confessional statement and the case against him completely depended upon the confessional statement of co-accused Ghulam Nabi Guide. Consequently accused Wasim Ahmed was also held entitled to be acquitted. The trial court had thus acquitted both the accused vide its judgment and order dated 02.03.2009, which was challenged in the appeal by the State. The Court found the conclusions of the trial Court to be not legally tenable, saying that the confession was recorded fully in conformity with the Rule. “The language used as a means of communication between the confessing accused and the recording officer being Hindi or Hindustani, such recording of confession in Hindi language is completely in conformity with the requirement of the Rule. The conclusion drawn by the trial court that Ghulam Nabi being Pakistani national his language must be Urdu and therefore the recording of the confession in a language other than Urdu, must be held to be not in conformity, is wrong. Nothing has been placed on record that the confessing accused did not understand the line of questioning or that he was not made to understand the contents of the confession after the recording was complete. In our view the assessment made by the trial court in this behalf is completely incorrect and against the record. The apex court, however, upheld the acquittal of another accused Wasim Ahmed, a Kashmiri, saying nothing was placed on record to establish his role in the conspiracy and execution thereof. The court asked Nabi, who has been convicted under the now repealed Terrorist and Disruptive Activities (Prevention) Act (TADA), to appear before it for hearing him on question of sentence to be awarded to him in the case. Three bomb explosions had taken place in the Maulana Azad Memorial Stadium in Jammu which was designed to kill the then Governor Lt General K V Krishna Rao during his address to a huge gathering of about 40,000 people, including dignitaries, VIPs, senior Government officers, political leaders and citizens on Republic Day in 1995. Rao had a narrow escape in the blasts which killed eight people and resulted in 18 persons sustaining injuries.